We are experts in Wealth & Tax Planning and Investment Advisory Services, offering simple, bespoke, performance-led solutions to international and high net worth clients. At Pech Gestion Privée we work with you to fully understand your needs, at your pace, and in your language. We put your interests first, every time. All client exchanges are conducted without obligation; contact us today to arrange a phone call or a meeting at your convenience. The Spectrum IFA Group specialises in financial planning for expatriates in France and across Europe, providing comprehensive guidance on tax efficient investments, pensions, wills/estate planning, mortgages, currency transfers and more. 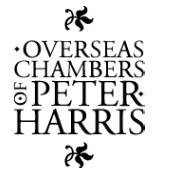 Kate Prigent FCCA, MCIL, BA Open provides French tax return completion services, liaison with the French tax office and general help with French paperwork (see Language Services as well). 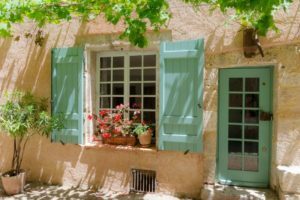 When moving or investing in France you need to understand everything from a financial and fiscal standpoint. Find out how we can help with this and much more. AXA’s general agent based in Nimes, William Stoker is your key interlocutor to answer all your financial protection needs: property and family insurances, savings and financial services. Committed to exceeding his customers’ expectations, William Stoker pays heed to you in order to provide you with the solutions that best fit your needs. He is the partner who is always at your side through your personal and professional lives, acting not only as an insurance agent, but also and above all as a genuine partner. English-speaking French chartered accountants based in the French Alps, with over 25 years’ experience in international businesses and investments, 5 offices and English-speaking staff to assist with all accounting needs. We offer advice, register businesses, prepare annual accounts, salaries and social declarations. We can advise on property investment, rental income and tax liabilities. With 4 offices and more than 20 years’ experience helping ex-pats, SAREG can help.